So a Robe a la Turque is What, Exactly...? 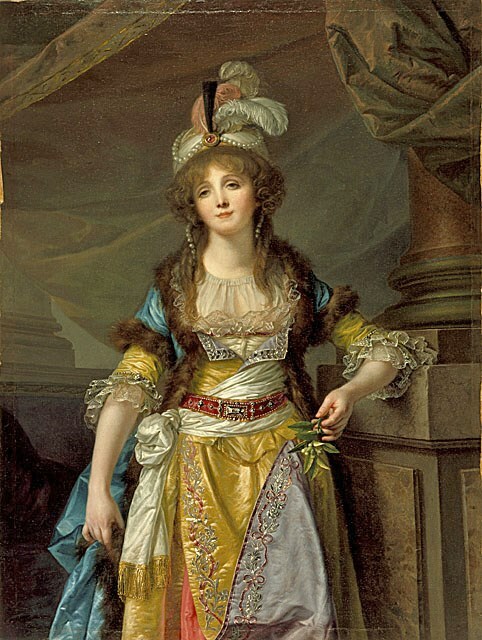 In my first post about the Robe a la Turque, I wound up with more questions than I answered, realizing I'd only just peeked into the rabbit hole that is 18th century orientalism. ... is to make a totally separate robe (the blue part trimmed in fur), to be worn over a round gown, with the blue robe pinned at the neckline of the gown. This will allow the sash and belt to be tied around the waist. 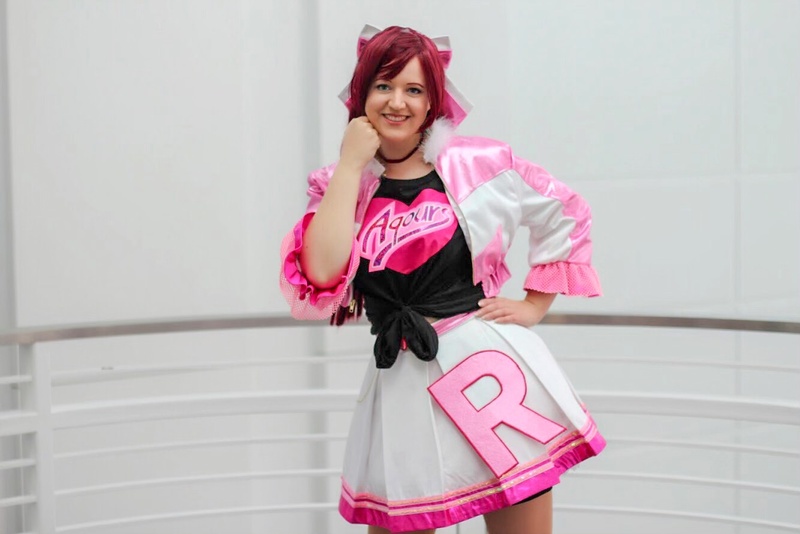 The robe will be cut like a Polonaise, with the back pieces in one with the skirt pieces, relying on inverted pleats and tucks to get the fullness. Note from Abby: I'm advised that these three portraits, each of the same girl, are Russian and this type of gown is particular to this region. While it looks like a Turque, it may instead be a type of formal Rusian court gown. And what exactly is the difference between a Turque, Circassienne, Polonaise, and Levite? What is the defining feature that makes each gown different? Click to see this larger - these are all related, but considered different styles. But what makes this Circassienne, worn with the skirt *down*, not a Turque? 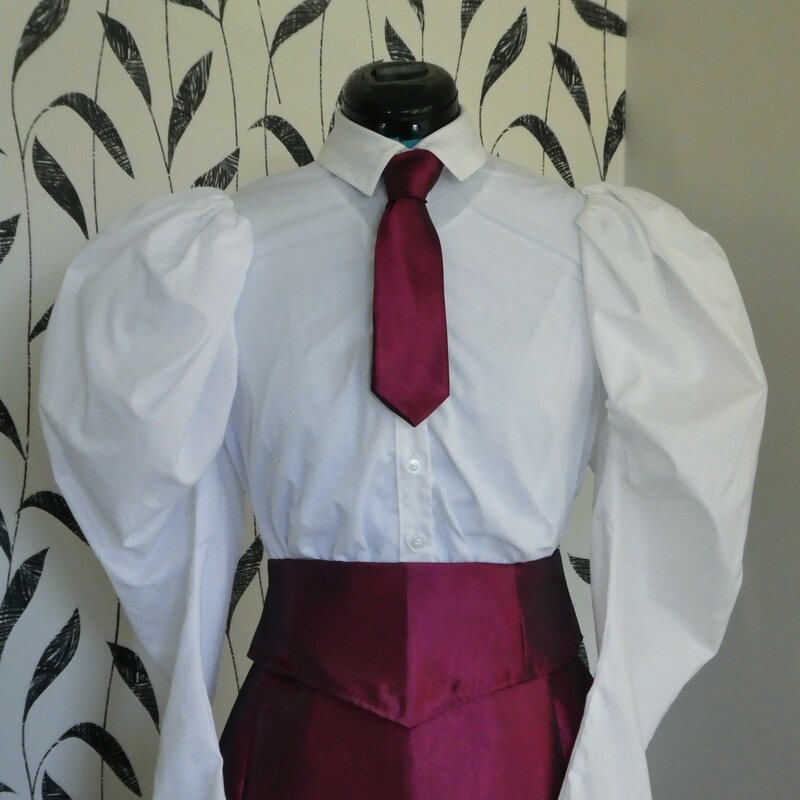 And worn with the skirt pulled up, why is it not a Polonaise? Why is this Levite described "Levite as a Circassienne?" 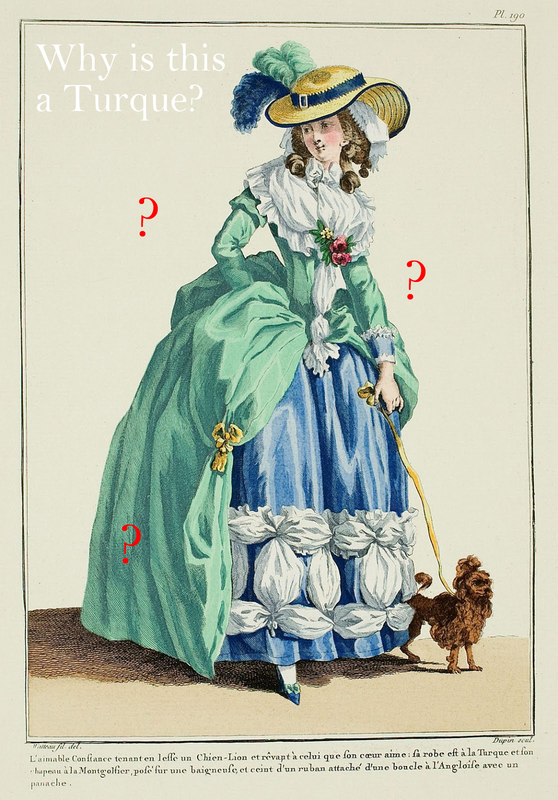 Leave it to those cheeky French fashionistas to remind us that we really have a pretty narrow view of 18th century fashion! 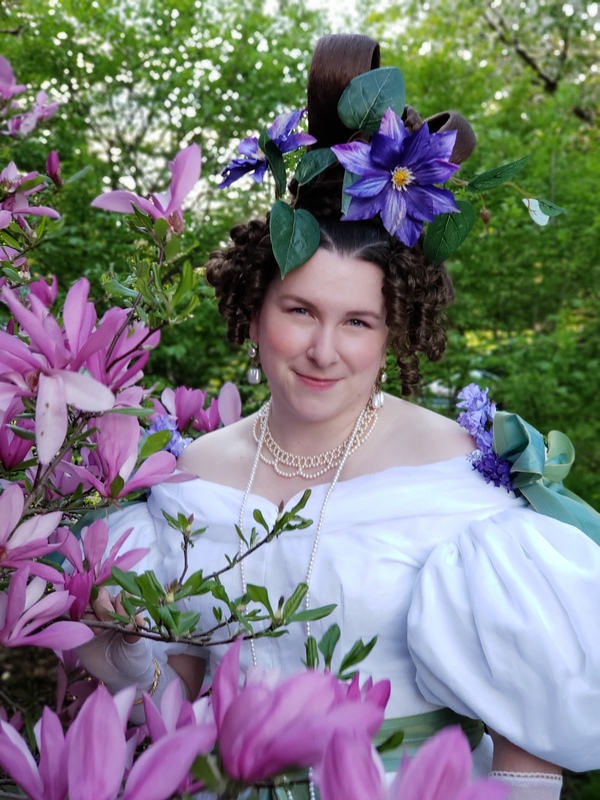 I have Abby of Colonial Williamsburg and Stay-ing Alive, Cassidy of A Most Beguiling Accomplishment, and Loren of The Costumer's Closet for help with piecing this together and learning more about how to make one of these gowns. A lot of the confusion comes from hindsight -- modern eyes want to force the past to label everything with one, precise name for each & every item with scientific precision. But when have people ever done that about clothing? Humans only started doing that about animals & plants in the late 18th century, & the genus / species / etc. divisions can be both subtle & arbitrary in places. Consider all of the 21st-century clothing catalogs & how they describe a very similar pair of jeans. Say "skinny jeans" -- J.Crew calls them "the Toothpick," Old Navy calls them "The Rockstar," & Gap calls them "Always Skinny." 200 years from now, a reenactor looking at just these catalogs & trying to figure out what people wore would be having the same concerns about skinny jeans as you do about robe a la turque. Are these different? Are they the same? Are they related? What about jeggings? Where does "rise" or "wash" fit in? Hello, perhaps the seamstresses, tailors and the journalists of the fashion magazines in the 18th.c. didn´t have strictly guidlines to define a gown? And in the end of the century there were so much styles of gowns, that journalists get confused and each of them has its own definition? That´s just my opinion. I´m sure your robe a la turque will be very beautiful! I've thought long and hard about the topic of gown-naming over the years. 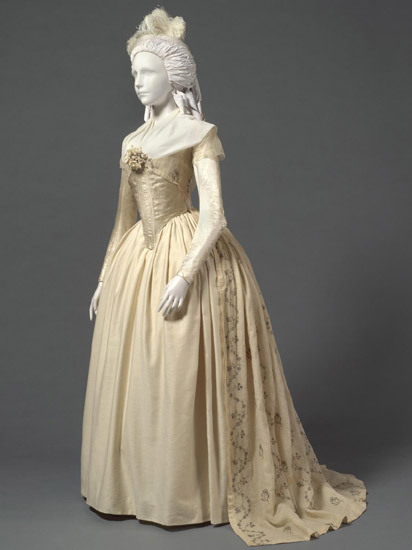 What it seems to come down to is that there's an original version with a strict definition (in this case, overgown with no waist seam, worn over an underbodice; short sleeves with long), which over time is loosened, so any gown with certain aspects of the named one can be called by that name. It's sort of the opposite of the modern skinny jeans situation Trystan describes - as though "the Rockstar" style of jeans became popular, and then different stores started stocking what they called "rockstars" even though their jeans were only skinny through the thigh, or the calf. I agree that it's best not to worry too much about terminology - the fashion press at the time kind of seems to have preferred having a descriptive phrase to attach to a gown (hence all the one-offs like the robe à la musulmane and à la chinoise, etc. 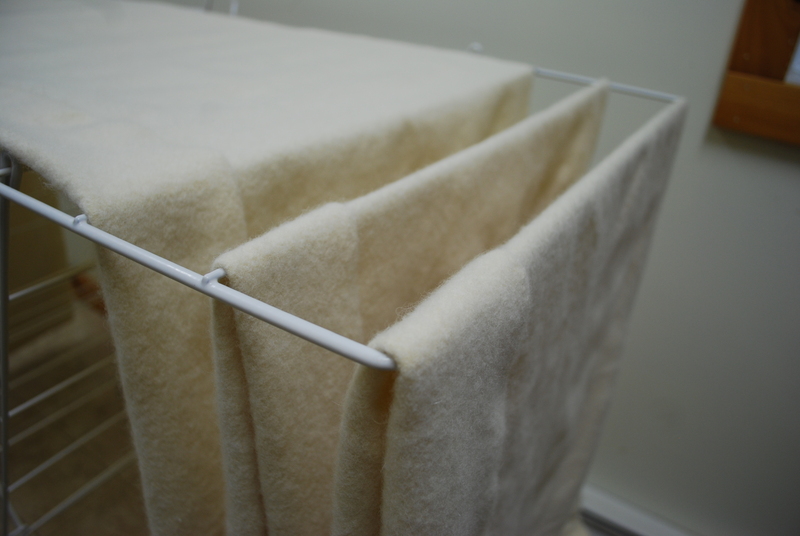 ), and all that was required was that it fit some of the basic requirements. When a term frequently matches up to a trait - like the cut-in-one back of the polonaise, or the turque's zone front - then it was likely used that way regularly by people, but apart from that there's no way of knowing what was the Galerie/Cabinet being them. I think the reason the lévite is "like a circassienne" in the one plate is the short oversleeves, which weren't common to them. That makes a lot of sense, especially moving into the 1790s, when everything kindof when batshit for awhile. 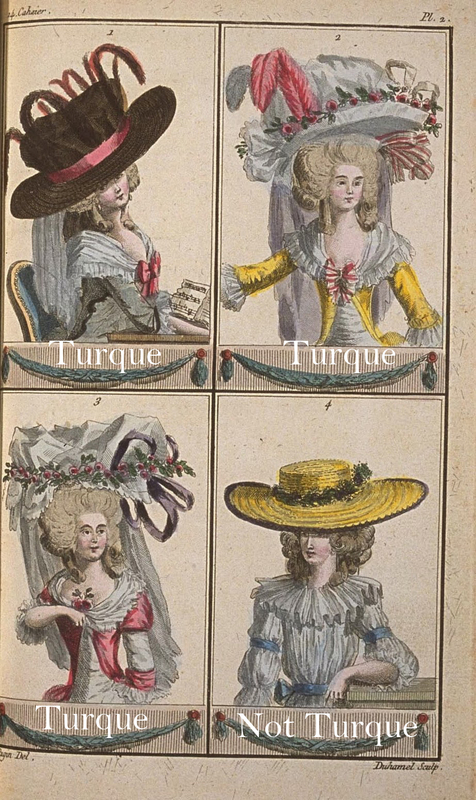 The "Robe a la Turque" int he 1770s seems to be much more restricted in definition than it was in the '90s. I guess I'm just looking for the common thread - thought it was the short sleeves, but then Circassiennes and Levites sometimes have those too. Maybe there isn't a common thread - maybe it's just a dress with an arabic flair could be called a Turque? Whatever the case, it's fascinating and I want to know more! Ah, but levites don't normally have the oversleeves! Just when it's pointed out as à la circassienne - the common thread with them is long sleeves, fully closed in the bodice, collar, and sash. Circassiennes have the oversleeves like turques, but are otherwise polonaises. Turques have a normal squared skirt. I imagine the Turque came about because someone famous enough to be a fashion setter zhoozhed one up, and it caught on in Paris, or London or wherever, and then was reported and then spread. 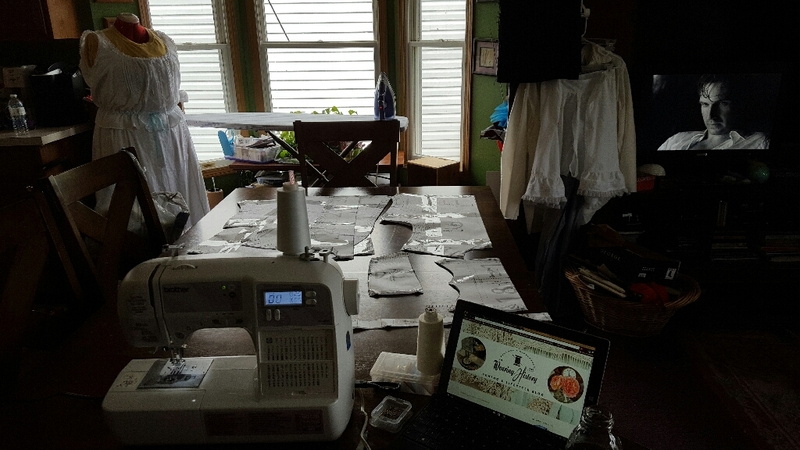 Working from print only, various fashion followers would be copying with varying degrees of commitment to accuracy, or getting their poor mantua makers to do so anyway. The number of times I've had a magazine pic of a wedding dress thrust under my nose with a Can you make that?? and then I have to work out the back, how many layers, whether it is cut in the round or gathered or both - the usual palaver. Even at best guesses given current construction techniques etc, the end result can be very different from the original photo. There must have been a huge amount of this kind of reverse engineering going on, with comms so slow and difficult, and dressmakers having only fashion plates and descriptions from clients trying to describe what they saw Lady Thing wearing at the Opera last night to go on! Oh yes, another thought is that like today, some people would interpret the style by its cut only and then render it in something they liked that isn't remotely Turkish, and others would see the bold colour and trims and styling and run with that rather than the exact cut. Me, I'd be going for the flavour first as that is where the fun is! Yes, in fact that is exactly what the Galerie/Cabinet reported, that a lady wore a Robe a la Turque (or what they hastily named that) while promenading and she was mobbed with onlookers attracted to her style of dress, who then went right away to their marchandes and had them make the style...but of course, as you say, those marchandes didn't see the gown, so it was only on the description that was reported by their clients or the magazines that could influence the designs. Thus the creativity. It makes perfect sense, and you're right, we totally have that going on today too. 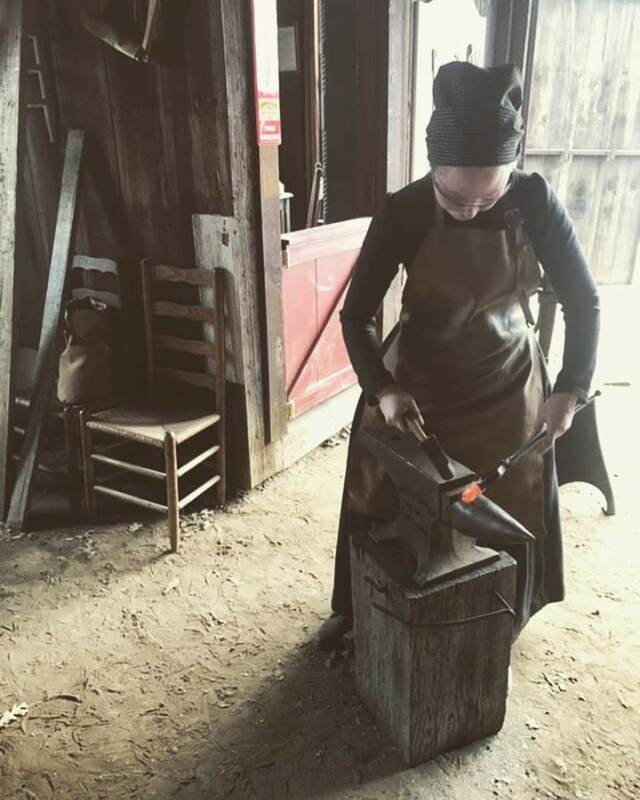 I think these posts and the comments are fascinating. 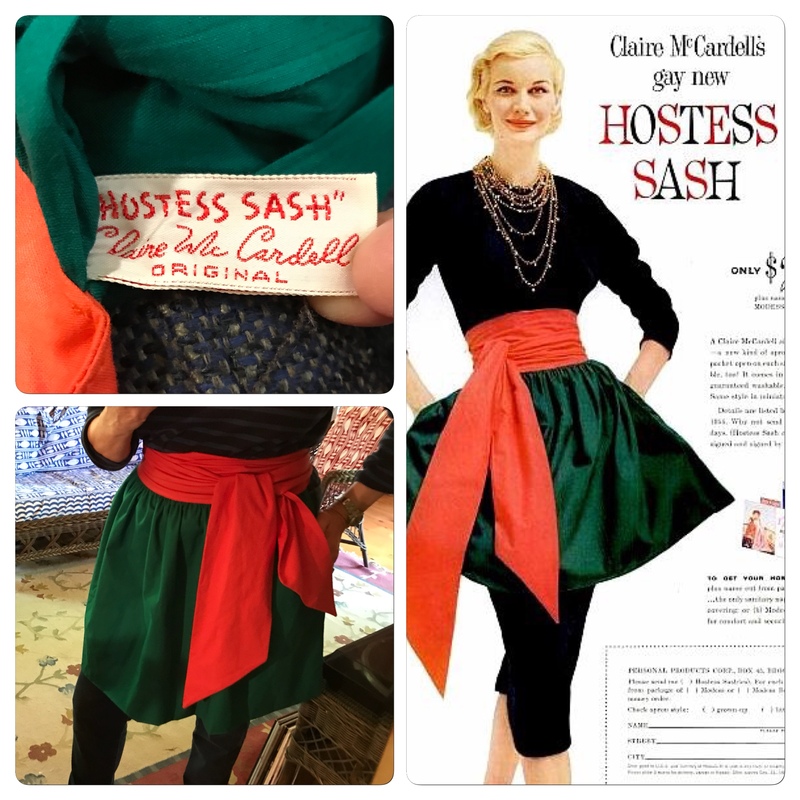 I'm by no means an expert on historical fashion but I agree with the other comments and I have one more point to add: Watch out with the 'export' of terminology. Of course, all the fashion plates you are using may be from French magazines but if they are not, it is entirely possible that some translator or an editor in another country working with an imported magazine and a lot of hearsay has started applying an interesting new term to exotic new looks without really worrying about whether or not that lined up with the naming of the styles in other countries. Like the use of different names for the same thing in the same language, this also happens all the time. Just one example: I own some Dutch ladies' magazines from 1957 in which the fashion editors insist on using the name 'caraco' for the then very fashionable fitted, waist length jacket (according to them, a bolero is slightly shorter). A term which, as far as I know, more usually refers (in French, English and Dutch) to an 18th century three quarter length ladies' jacket. Descriptions of styles, I think, very often get blurred over time and in translation. 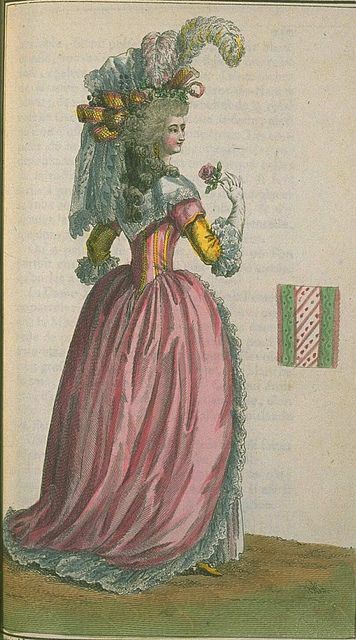 That said, the type of garment you decided to make for your Robe a la Turque makes sense if you consider the name: It's like a Sultana adapted to the shape of normal 18th century ladies' dresses. I've been looking only at the French plates, but I completely agree with you that terminology changes country-to-country. I haven't seen any "turques" or "turkish" gowns reported in English magazines, but I also haven't looked....there's another rabbit hole to go down! Take this with a big hunk of salt, as I'm just a costumer, not a historian--but it looks to me like that artist raided his closet--a fur lined gown here, a fancy embroidered sik drape there, all held together with a magnificent belt, with the total effect one of suggesting a beautiful shapely woman walking around in a sultans palace. Maybe if you raid your own considerably exciting closet you may come up with some likely pieces to recreate the mood of this painting? Keep me posted, I love this stuff!! Yes, I think you're right, and some very interesting commentary on Facebook has revealed that the lady in the portrait was a ballerina, and that the costume she is wearing may very well be a stage costume. It does look cobbled together from various parts, which is freeing in recreating it, because that is also what I am doing - a petticoat, the belt and sash I already have, and the undergown for mine will be a complete Robe a l'Anglaise, so I can wear it without the blue robe, for a different purpose. I like that versatility. I find all of this so much fun! Really. Coming back around to Abby's comment about the Russian gown--since we've established fairly well that there may be very little of true Turkish ancestry in the Robe a la Turque, it almost makes me wonder if the Russian style of gown was a partial inspiration. 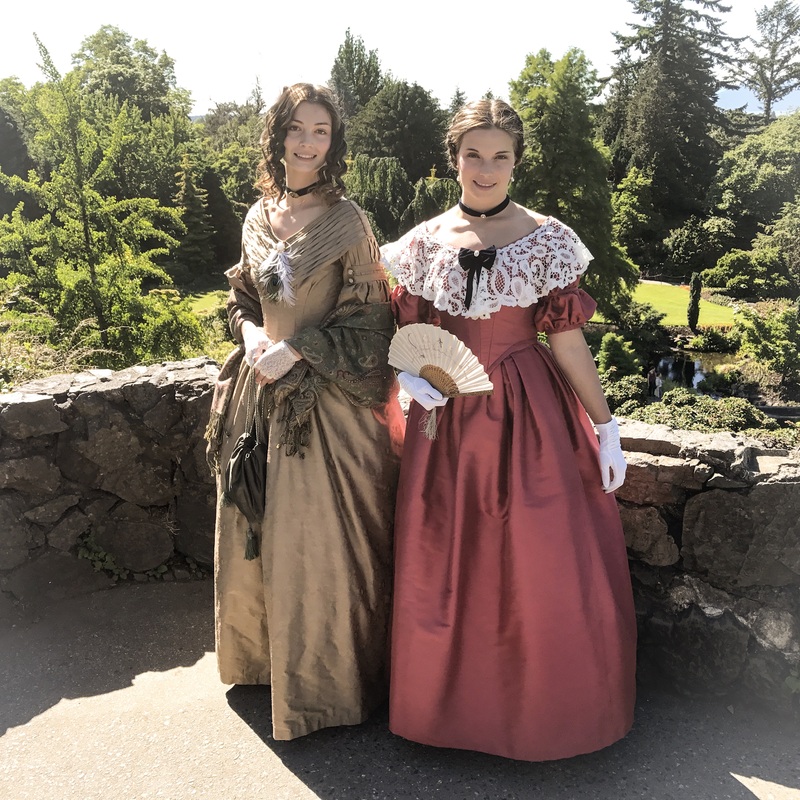 We think ourselves so modern and open-minded today, taking inspiration from various cultures and making incongruous styles work together in our clothing--and those 18th century ladies had us beat by a couple hundred years! I love how the 18th century totally swiped fashion from all over the place, and sometimes fads came in and out super quickly. It's so quirky, and as you say, seems like a modern thing, but has been going on for hundreds of years! Well humph. 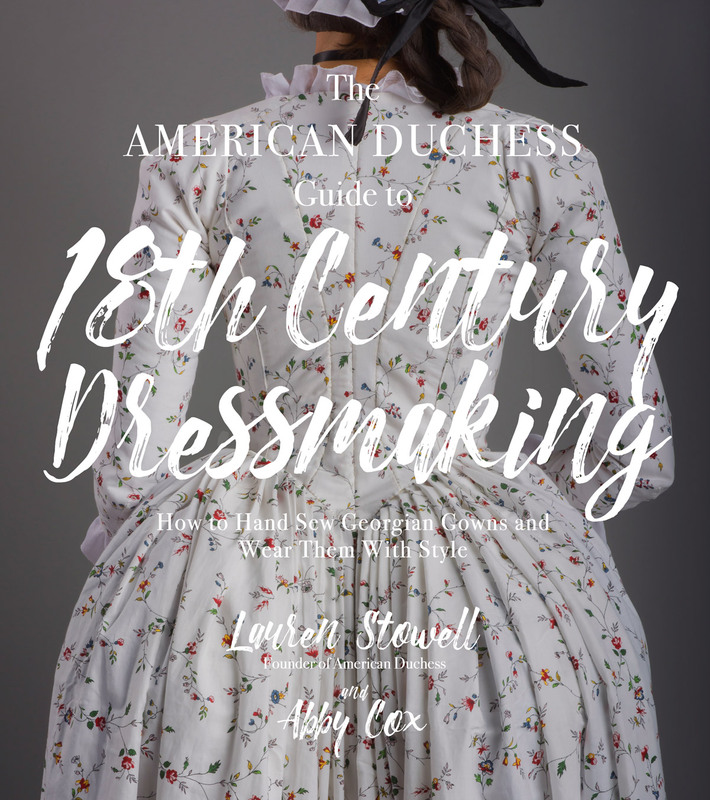 I wanted to be all "18th century Dress History PhD candidate" smarty-pants-y here, but everyone has already said such great and insightful things! All I'll add is that from the perspective of someone who's "job" includes trying to get inside the heads of people who have been dead 200-300 years and understand their clothing-related motives and actions I think there is a real limit to how far down we can plumb really specific details. People are people, they're notoriously inconsistent. And along with spelling, inconsistent terminology ran rampant in the 18th century. I in no way mean to discourage your digging, it's fascinating to research and see what other people come up with! I just don't think you need to drive yourself crazy over it! Oh I'm having a great time digging and discussing all this. This is the good stuff, the uncharted territories we all get to scratch our heads over and confer with each other about. I'm loving it! I'm not an expert by any means but I've run into some of the same oddball inconsistancies you've encountered. It's made me wonder if terms like Turque or Anglaise mean something more general, really more referring to the style of the country vs a very specific style. So a Turque in that case would just mean something in the Turkish style, with elements for Turkish fashion but not adhering to some strict set of style guidelines. 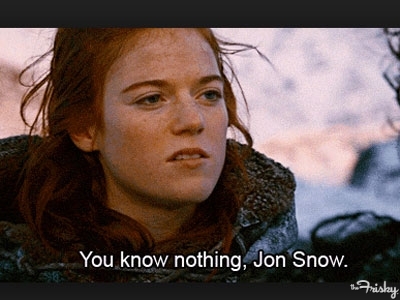 But I bow to those who've done more research for the answers! I don't know much off the top of my head about the gown a la Turque, but men's fashions had a "Turkish" thing that started in the 17th century which pretty much meant it was a more tunic-like jacket, with narrower sleeves than had been the fashion before. Might the narrow sleeves be the key here as well? This is my current favorite style :D Already made two and planning on third.